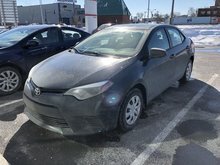 Looking for a used Toyota for sale in Montreal? Trust the Toyota dealerships of Groupe Spinelli! Located in the West Island near the South Shore of Montreal, our dealerships offer you a wide selection of pre-owned cars of various brands and models, including the largest choice of used Toyota vehicles near Laval. Don’t wait anymore and come see us today! Among our pre-owned vehicles, you will find several Toyota SUVs, of which the used RAV4 and Highlander, offered at the best prices near Brossard and the North Shore. On location, you will also find a wide range of 2016 Toyota vehicles still under the manufacturer’s warranty, including many used Yaris and Camry for sale. And if you are looking for a reliable, fuel-efficient and affordable sedan, the used Toyota Corolla for sale represents a smart choice. Come select yours among our vast inventory of used Toyota vehicles for sale in Montreal! Are you rather looking for a family car? Take a look at our numerous used Sienna minivans or pre-owned Matrix cars, which are perfect vehicles for you and your family! No matter which of the used Toyota models near Laval you will opt for, you will be sure to acquire a vehicle with an exemplary reputation that will serve you well and reliably for many years! Are you instead seeking for a hybrid model? You will find the rare gem among our several Prius cars for sale! Enjoy all the advantages of a Toyota vehicle with a model that has significantly lower fuel consumption ratings than a conventional vehicle! Don’t wait anymore and come test drive it today! In addition to offering a large number of used Toyota vehicles for sale in Montreal, Spinelli also offers you several Toyota promotions as well as various Toyota financing options. 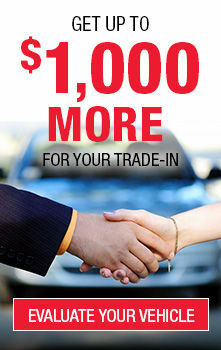 Whether you a looking for a new or a pre-owned model, take advantage of not only the most competitive rates in the West Island, but also the best financing solution based on your financial situation. Complete your online request today! For the widest choice and the best prices on used Toyota vehicles near Laval, trust Groupe Spinelli!